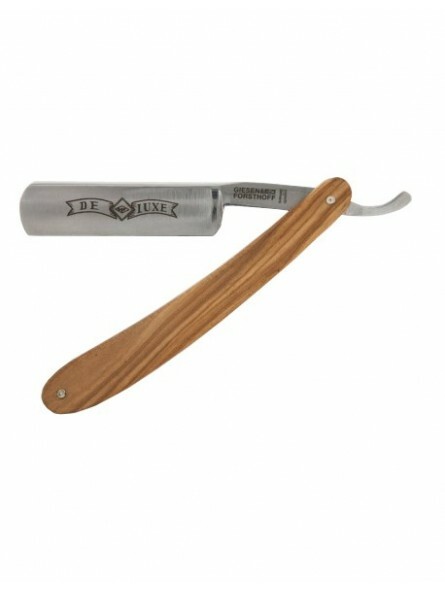 Timor Straight Razor 6/8" by Giesen & Forsthoff. Non stainless-steel carbon-steel blade 6/8", fine blue hollow ground, with etching 'Timor Deluxe', finest 'Solinger Qualität'. 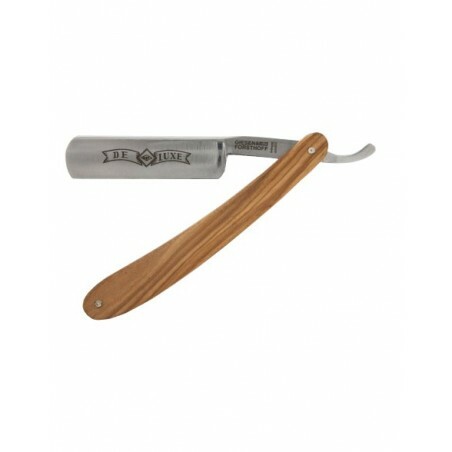 Razors are handcrafted in the old traditional style. Handle - Olive wood hande.